D-ribose is a new weapon in the arsenal of antiaging nutrients. Science has recently become aware of ribose benefits, and the use of a ribose supplement may be just the thing to help you feel and perform better! D-Ribose (or just ribose) is a pentose sugar. Its used by all of your body’s cells and is essential for energy metabolism. Ribose is also part of your DNA and RNA, the genetic material involved in your most critical cellular functions. In plain English, ribose is a sugar your body uses to power your cells! Your body can make ribose, but the chemical steps involved take time and in the interim your body can experience an energy deficiency before tissue levels of ribose are restored. Doctors are discovering that ribose can have a very important and positive contribution to the treatment of patients with heart disease because it quickly replenishes their cellular energy pool, providing more energy for the heart. Doctors Stephen T. Sinatra, MD, and James C. Roberts, MD have used it with their cardiac patients with outstanding success. It replenishes the energy pool of cardiac tissue and enables the heart to beat stronger, significantly improving the quality of life for their heart patients. This along with the fact that it can now be manufactured far more cheaply makes it a very practical solution for patients with low cellular energy. However, as we will see, it has benefits for healthy people too! Who should use a ribose supplement? The answer is anyone and everyone who suffers a lack of energy due to illness, or intense exercise. There are no reasons why a healthy person would need to avoid d-ribose. Its toxicity is almost non-existent. It is supplied in the form of a slightly sweet white powder, or made into capsules. It has a 97% absorption rate through the stomach and can be mixed with water, juice, or other liquids with no problems. Here are some dosage recommendations from an article in Life Extension Magazine called “Enhancing Cardiac Energy with Ribose,” by By Stephen T. Sinatra, MD, and James C. Roberts, MD. 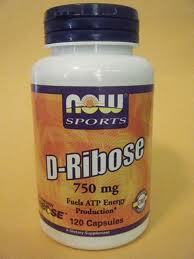 Ribose has no known adverse reactions with drugs or nutritional supplements. Its only restriction is small children and pregnant women, because not enough is known about how it would affect them. Supplying energy to weekend warriors and heart disease patients alike makes ribose one of the most valuable supplements you can take. 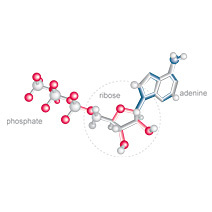 Ribose benefits are about more than just supplying energy to cells and playing a part in critical biochemical reactions. The ribose supplement provides the energy to stabilize tissues and sufficiently power chemical processes throughout the body. When these processes are carried out with insufficient energy, the body suffers and aging is accelerated. D-ribose ensures that critical cellular functions and chemistry continue to have the available energy they had in youth to do their job correctly. This promotes antiaging at the cellular level and makes d-ribose a true antiaging nutrient.